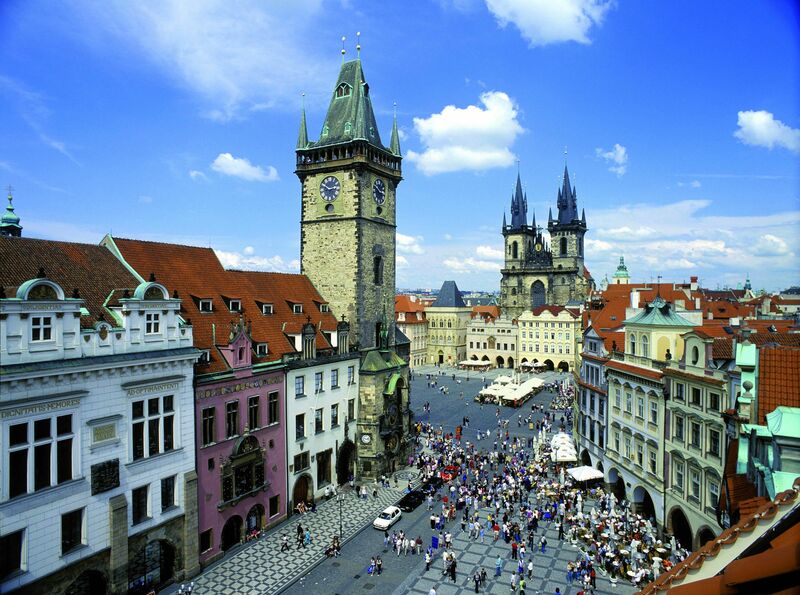 Prague's Old Town Square was established in the 12th Century and is now a showcase of the Gothic and Baroque architecture which has come to define Prague since then. 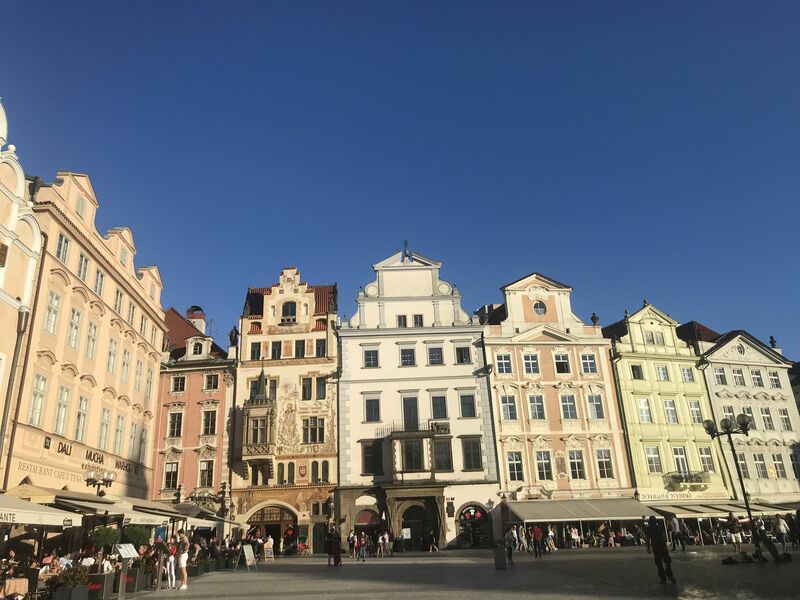 One of Prague's most important historical sites, the Old Town Square is home to various iconic buildings and sights, such as the Church of Our Lady Before Týn, St. Nicholas' Church, the Astronomical Clock and the Old Town Hall. The Jan Hus memorial overlooks the square, depicting the victorious Hussite and Protestants in the 30 Years' War who had been in exile for 200 years prior to the war, and a young mother who symbolises the rebirth of the nation. There are also two prominent churches in the square: the Church of Our Lady before Týn dates to the 14th century and is a prime example of Prague's Gothic architecture; and St Nicholas' Church, in its current form, dates back to the 18th Century, and is an example of Prague's more recent Baroque architecture style. 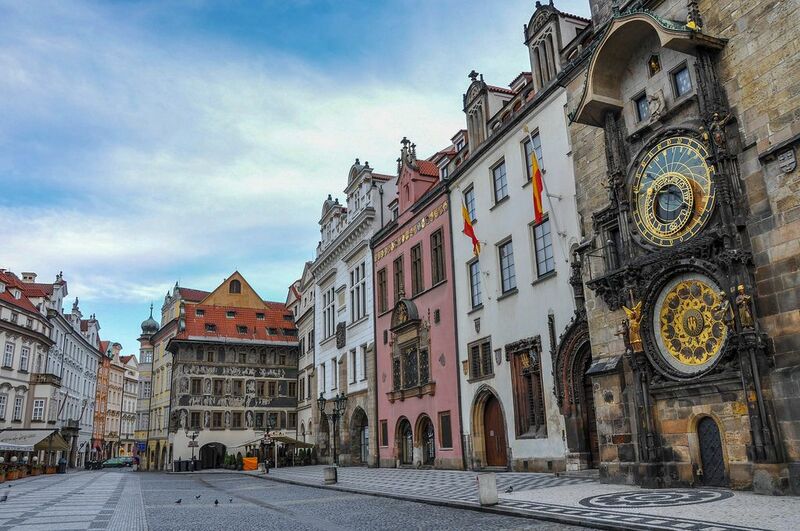 The square is also home to the world's oldest working astronomical clock, which displays it's 'Walk of the Apostles' show every hour using moving sculptures. The square is also lined with restaurants, which aren't as cheap as those elsewhere in Prague but are still worth a visit for the square's great atmosphere. If you really want some deeper knowledge of the history of the square, and the wider Old Town, it's worth trying one of the free walking tours hosted in the square.